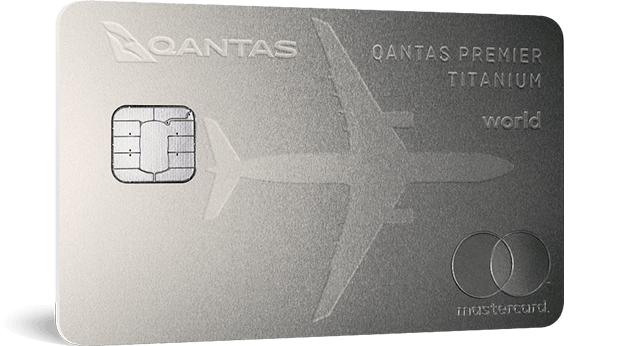 Qantas Premier Everyday credit card. When you spend $3,000 within the first 90 days of card approval. Track your money on the fly and see your balance, statements, transaction history, and more. Plus connect your other financial institutions' accounts so you get the big picture3. Get on top of your finances with 0% p.a. Balance transfers for 9 months (reverts to cash advance rate thereafter). Apply by 11.59pm AEDT 30 May 20194. Access medical emergency insurance cover of up to $1,000,000 as standard (exclusions apply), plus travel cancellation cover of up to $20,000 for travel booked using your card5. – points you could put towards a holiday. $25 per additional card holder, per year. 19.99% p.a. Special Offer - apply by 30 May 2019 for 0% p.a. (for the first 9 months). New Qantas Premier Everyday credit cardholders only. For applications submitted by 30 May 2019. The 0% p.a. rate applies to Retail Purchases (excluding Cash Advances) for 9 months from account approval. At the end of the 9 month promotional period any outstanding Retail Purchase Balance in addition to and new Retail Purchases will attract variable Annual Percentage Rate for Retail Purchases, currently 19.99% p.a. The interest rates are current as at 30 October 2018. Offer may be withdrawn or extended at any time. Offer available for new Qantas Premier Everyday credit cardholders only. 20,000 bonus Qantas Points offer is available to new approved Qantas Premier Everyday credit card account holders who apply by 30 May 2019. 20,000 bonus Qantas Points will be awarded when $3,000 or more is spent within the first 90 days from card approval. Cash Advances, Balance Transfers, Refunds, Chargebacks and Special Promotions do not contribute to the spend threshold. Bonus Qantas Points will ordinarily be credited within 6 - 8 weeks of meeting the spend criteria. Offer may be extended or withdrawn at any time. The Qantas Money app is owned and operated by Qantas and supported on iOS9+ and Android 6+. New Qantas Premier Everyday credit cardholders only. Apply by 30 May 2019. Your total Balance Transfers may not exceed 80% of your credit limit. The 0% p.a. interest rate applies to balances transferred within 90 days of card approval for a period of 9 months. The 9 month promotional period commences once the Balance Transfer is processed. At the end of the Balance Transfer period, the interest rate on any outstanding transferred balance will revert to the variable Annual Percentage Rate for Cash Advances, currently 21.99% p.a. Excludes balances transferred from other Citigroup Pty Ltd issued credit facilities. You are not entitled to any interest free days whilst you have a Balance Transfer. This means that whilst you have a Balance Transfer you will be charged interest on your daily unpaid balance. Offer may be extended or withdrawn at any time. For important information to consider before taking up a Balance Transfer, please click here. Complimentary Travel Insurance is issued by Chubb Insurance Australia Limited (ABN 23 001 642 020, AFSL No. 239687) (Chubb) and is subject to the terms, conditions, excess, limits and exclusions set out in the Complimentary Travel Insurance Terms and Conditions arranged under a master policy of insurance between Chubb and Citigroup Pty Limited ABN: 88 004 325 080 AFSL No: 238098 Citigroup Centre 2 Park Street Sydney NSW 2000, the issuer of your card. Earn rate for the Qantas Premier Everyday credit card: 1 Qantas Point per whole AU$1 equivalent on International Spend; 0.75 Qantas Points per whole AU$1 on Domestic Spend up to and including AU$3,000 each Statement Period, 0.4 Qantas Points per whole AU$1 spent above AU$3,000 each Statement Period: plus 1 Additional Qantas Point per whole AU$1 on Qantas Spend. International Spend means any Eligible Transaction made with a merchant who tells us they are located in a country outside Australia. Domestic Spend means any Eligible Transaction made with a merchant who tells us they are located within Australia. Eligible Transaction means any purchase excluding (but not limited to) Cash Advances, Balance Transfers, Special Promotions, BPAY payments, purchases of foreign currency and travellers cheques, transactions made in operating a business, payments to other Citi accounts, bank fees and charges such as interest and ATM charges, transactions made using Qantas Points and government related transactions. Government related transactions include transactions with government or semi government entities, or relating to services provided by or in connection with government (for example but not limited to transactions made at Australia Post, payments to the Australian Taxation Office, council rates, motor registries, tolls, parking stations and meters, fares on public transport, fines and court related costs). For full definitions, terms and conditions, see Qantas Premier Credit Card Rewards Terms and Conditions. 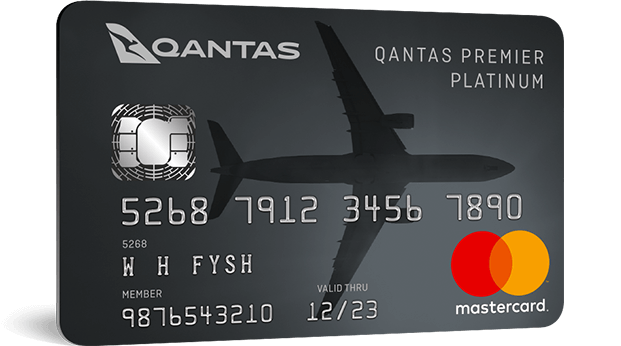 ‘Qantas Spend’ means Eligible Transactions made with the following merchants: flights booked directly through qantas.com and Qantas Contact Centres; Qantas flights booked through selected travel agents; Qantas Frequent Flyer and Qantas Club membership, joining and annual fees; Qantas Gift Vouchers; purchases from qantasstore.com.au, qantasshop.com.au and qantasepiqure.com.au. For full terms and conditions, see Qantas Premier Credit Card Rewards Terms and Conditions at qantasmoney.com/terms. An Eligible Transaction means any purchase excluding (but not limited to) Cash Advances, Balance Transfers, Special Promotions, BPAY payments, purchases of foreign currency and travellers cheques, transactions made in operating a business, payments to other Citi accounts, bank fees and charges such as interest and ATM charges, transactions made using Qantas Points and government related transactions. Government related transactions include transactions with government or semi government entities, or relating to services provided by or in connection with government (for example but not limited to transactions made at Australia Post, payments to the Australian Taxation Office, council rates, motor registries, tolls, parking stations and meters, fares on public transport, fines and court related costs). For full definitions, terms and conditions, see Qantas Premier Credit Card Rewards Terms and Conditions.